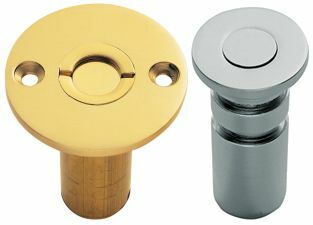 Dust excluding sockets for use with flush door bolts. For wooden floors: 45mm diameter plate, 20mm diameter socket, with 12mm hole size, and for concrete floors: 25mm diameter plate, 20mm diameter socket, with 12mm hole size. 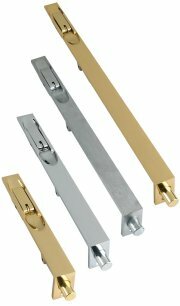 Available in Polished Brass, Satin Chrome, Polished Chrome & Stainless Steel.